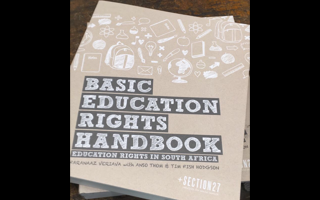 On the 15 February 2017, a partnership of civil society organisations that have been involved in rights-based struggles for access to a quality basic education will launch a Basic Education Rights Handbook. The initiative has been led by the public interest organisation Section27. The partner organisations that have contributed to the Handbook are: The Equal Education Law Centre, Equal Education, The Centre for Child Law, The Legal Resources Centre, The Southern African Litigation Centre, and the Studies in Poverty and Inequality Institute. The Handbook aims to serve as a legal literacy tool. Legal literacy is an essential tool of rights-based struggles. It seeks to empower ordinary citizens to know and understand the law and its impact so that they can engage and apply the law in a manner that improves the quality of their lives. In an education context the Handbook serves to empower communities, school governing bodies, principals, teachers and learners to understand education law and policy, to know when learners’ rights have been violated and what steps are required to protect learners’ rights. For example, poor parents who know that they have the right to apply for an exemption from school fees can resist efforts by a school to turn their child away from a school because they cannot afford the fees being charged at the school. Instead, parents can demand to be given the opportunity to apply for the exemption. This Handbook aims to be as comprehensive as possible by discussing a wide spectrum of areas of education law that potentially have an impact on learners’ rights. Each chapter provides an overview of the law, policy and case law on a particular issue, and discusses real-life examples that give context to the issue under discussion. Finally, each chapter provides users with tools for remedying the issues that may arise in respect of each area under discussion. A noteworthy feature of the Handbook is the approach in respect of learners with disabilities. 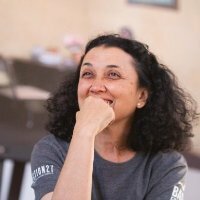 While it features a chapter that focuses specifically on learners with disabilities, in keeping with the philosophy of inclusive education, almost each and every chapter has integrated the particular concerns for learners with disabilities into the topic under discussion. The state of basic education, for the majority of South Africa’s learners, remains a major concern. Without resources such as adequate infrastructure or equipment, textbooks and teachers, historically disadvantaged schools continue to exist and function at sub-optimal levels. The impact of this is evident in educational outcomes in these schools. Added to this are the many barriers that continue to impede access to a quality education for specific groups of learners. These barriers include for example, school fees, language barriers, or the exclusion from school of pregnant learners. Finally, the levels of violence in South African schools, including gender-based violence, remain excessively high so that schools are not the safe spaces we require for our children. In short, the struggle for access to safe schools that offer quality education continues to elude many South African learners. The Handbook can be accessed, here.